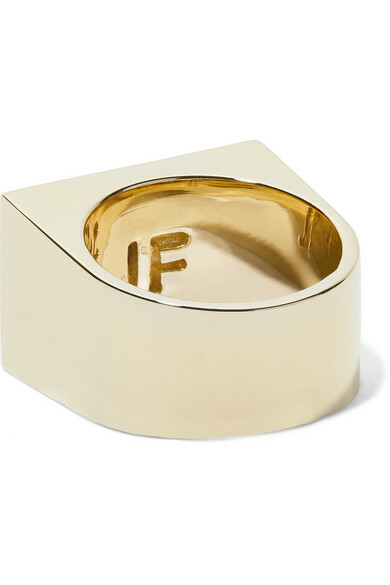 As the name suggests, Jennifer Fisher's pinky ring is inspired by classic signet styles. 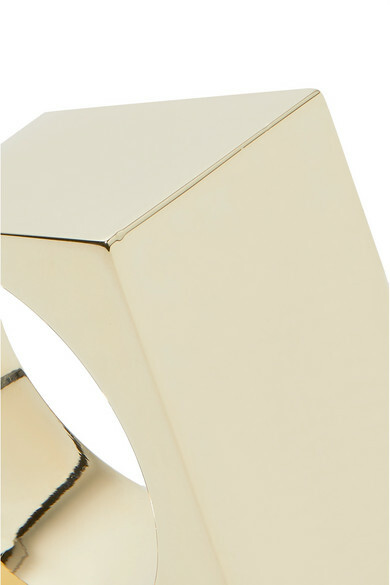 Made from gold-plated brass, it has a minimalist square face and is polished for a high-shine finish. Wear yours with the cuff from the same sleek collection. Shown here with: Orseund Iris Shirt, A.P.C. Atelier de Production et de Création Jeans, Jennifer Fisher Ring.